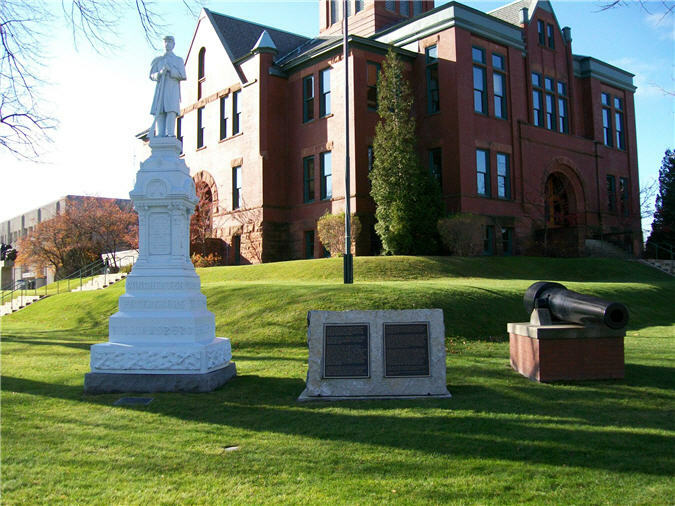 The gun, plaques and Civil War statue are located on the courthouse lawn at the intersection of Boardman Avenue. and Washington Street. The plaque as been added post 2004. This 6.4 inch 100Pounder Parrot Naval Cannon served on the U.S.S. Sabin during the Civil War. It is the only one from that ship that survives today. 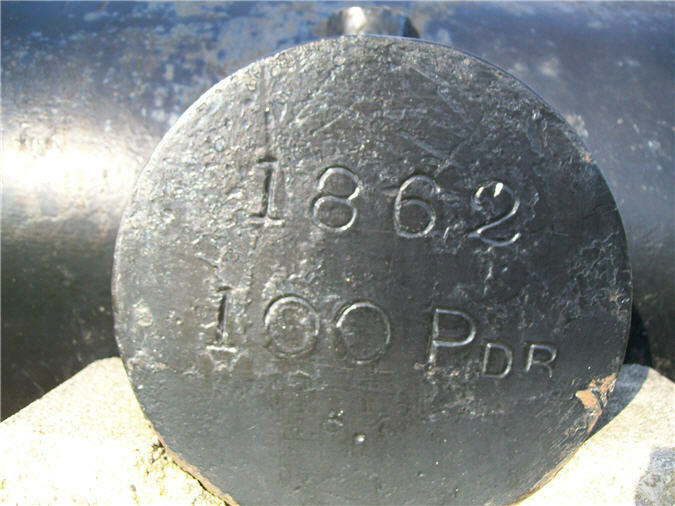 The cannon was cast in 1862 at the West Point Foundry (Registration #15 Foundry #210) in Cold Spring, New York. It weighs 9,790 pounds. The story of the cannon and ship’s service during the Civil War are one. U.S.S. Sabin’s keel was laid in 1822 at the New York Navy Yard but final construction was not completed until February, 1855. The U.S.S. Sabine was among the last two sailing frigates commissioned by the U.S. Navy on August 23, 1858. All subsequent frigates incorporated steam power propulsion. 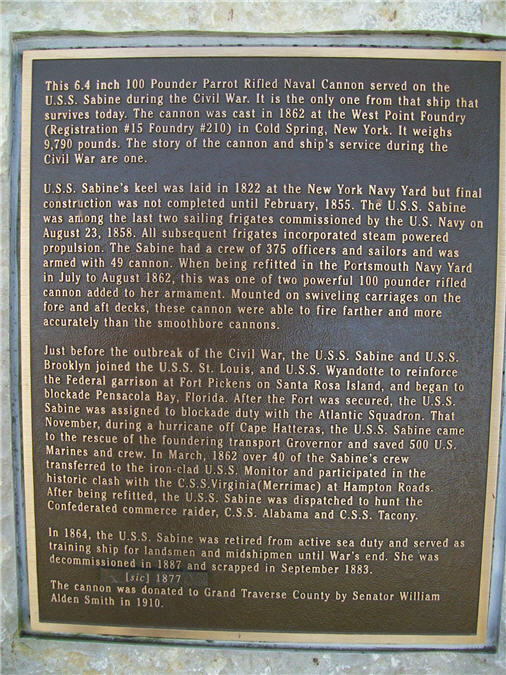 The Sabine had a crew of 375 officers and sailors and was armed with 49 cannon. 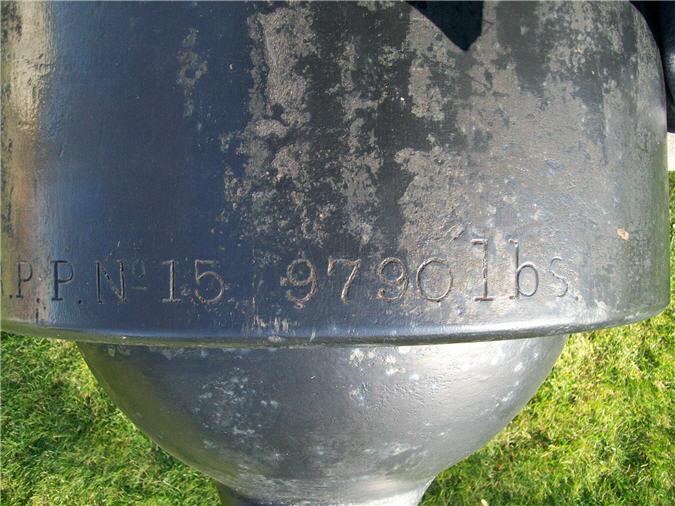 When being refitted in the Portsmouth Navy Yard in July to August 1862, this was one of the two powerful 100 pounder rifled cannon added to her armament. Mounted on swiveling carriages on the fore and aft decks, these cannon were able to fire farther and more accurately than the smoothbore cannons. Just before the outbreak of the Civil War, the U.S.S. Sabine and U.S.S. Brooklyn joined the U.S.S. St. Louis, and U.S.S. Wyandotte to reinforce the Federal garrison at Fort Pickens on Santa Rosa Island, and began to blockade Pensacola Bay, Florida. After the Fort was secured, the U.S.S. Sabin was assigned to blockade duty with the Atlantic Squadron. That November, during a hurricane off Cape Hatteras, the U.S.S. Sabine came to the rescue of the foundering transport Grovernor and saved 500 U.S. Marines and crew. In March, 1862 over 40 of the Sabine’s crew transferred to the iron-clad U.S.S. Monitor and participated in the historic clash with the C.S.S. Virginia(Merrimac) at Hampton Roads. After being refitted, the U.S.S. Sabine was dispatched to hunt the Confederated commerce raider, C.S.S. Alabama and C.S.S. Tacony. In 1864, the U.S.S. Sabin was retired from active sea duty and served as training ship for landsmen and midshipmen until War’s end. She was decommissioned in 1887 [sic] 1877 and scrapped in September 1883. 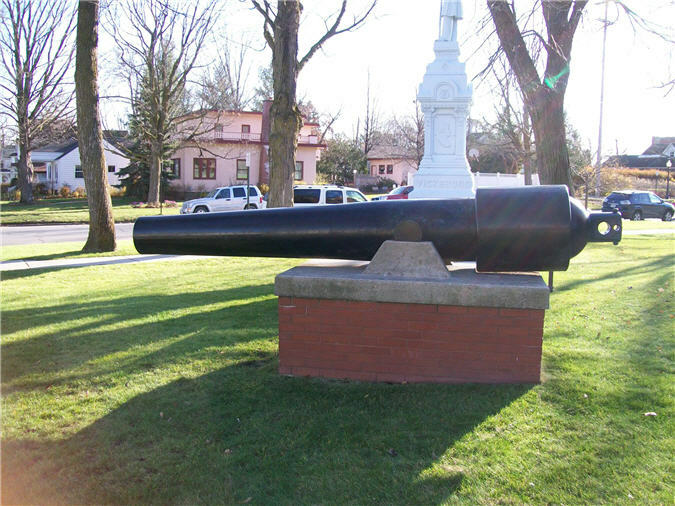 The cannon was donated to Grand Traverse County by Senator William Alden Smith in 1910.